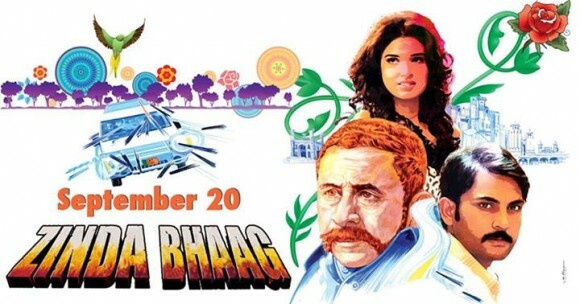 LOS ANGELES: Pakistani movie ‘Zinda Bhaag’ is no more in Oscar race as nine movies including works by Palestinian, Danish and Hong Kong filmmakers were shortlisted for best foreign language Oscar. However, Bollywood actor Naseeruddin Shah-starrer ‘Zinda Bhaag’, which had been selected as the first Pakistani film in over 50 years to be nominated for Oscar consideration in the ‘Foreign Language Film Award’ category at the 86th Academy Awards to be held on March 2, was left out. “The Broken Circle Breakdown,” Belgium, director Felix van Groeningen. “An Episode in the Life of an Iron Picker,” Bosnia and Herzegovina, director Danis Tanovic. “The Missing Picture,” Cambodia, director Rithy Panh. “The Hunt,” Denmark, director Thomas Vinterberg. “Two Lives,” Germany, director Georg Maas. “The Grandmaster,” Hong Kong, director Wong Kar-wai. “The Notebook,” Hungary, director Janos Szasz. “The Great Beauty,” Italy, director Paolo Sorrentino. “Omar,” Palestine, director Hany Abu-Assad.